Driving a Mini Cooper on the streets of Springfield is some of the most fun you can have behind the wheel. But when your little fun machine requires auto repair, you want to take it to the best. And around Springfield, the auto mechanics of Complete Automotive are just the ticket. One aspect of Complete Automotive that customers comment on frequently is the fact that we don’t try to sell our customers on parts and auto repair services their Mini Cooper doesn’t need. Just read what Allison, a long-time customer from Springfield had to say about us: “I have been taking my truck to Complete for the last couple of years now. I have just finished handing them a used vehicle that needed a lot of repairs. 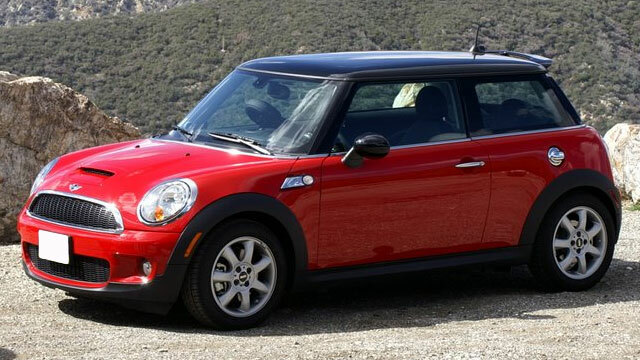 They always do a fabulous job and what I like most about them, as a female, is that I can trust them to be fair and not sell me any more than what I absolutely need!” -- Allison P.
So when your Mini Cooper is in need of auto repair, bring it to the Cracker Jack auto mechanics of Complete Automotive. They're simply the best in the Springfield area. Schedule an appointment online or stop by our shop at 2238 E. Chestnut Expy. in Springfield, MO 65802.